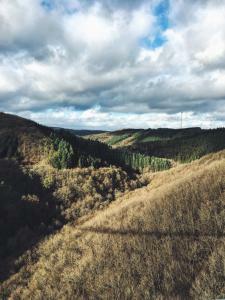 The year is only about a week old and in terms of traveling it has started in the best kind of way: My mom and I went to the Eifel (a part in Germany) for a small weekend away! My parents ‚gave‘ me a spa weekend to a secret location for Christmas and the time to go had come this weekend. So last Friday, after my mom finished work, we set of into the sunshine. Our first trip of the year was about to start! After a two hour drive, we arrived at our hotel. This stay proved: You definitely don’t have to travel far to have a great time. It was so beautiful here! Since we visited in January, there was hardly anybody there. We practically had the pool and sauna for ourselves, as well as the restaurant and the breakfast buffet. If you want to escape the crowds, this is your time to go! 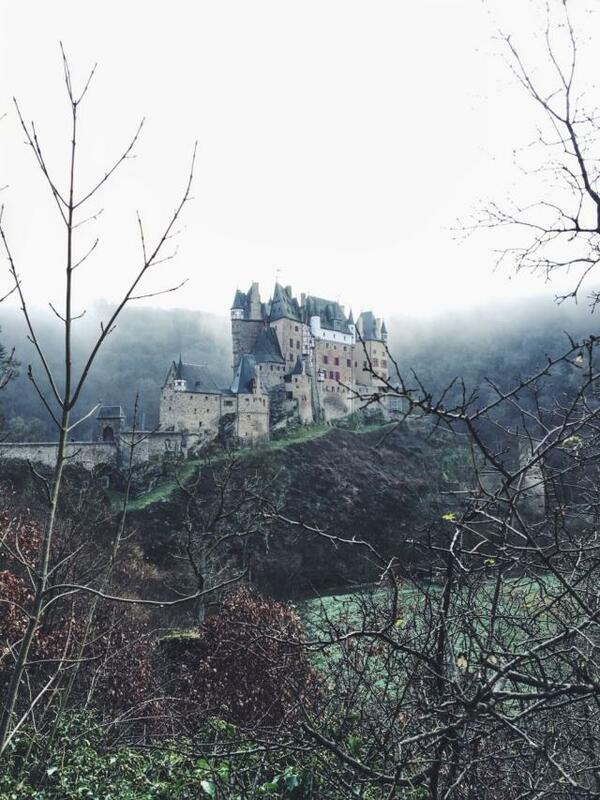 On Saturday (after getting a super-relaxing massage), we set off for a hike to visit Burg Eltz. I highly recommend going here, it’s beautiful! Burg Eltz closes in winter though, so we only looked at it from outside. We ended up walking about 20 km – quite a hike for both of us. Back at the hotel we rested and went to the sauna again. Isn’t this the most perfect spa day? 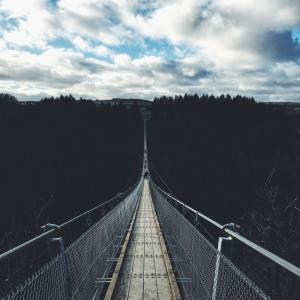 Since it was only a weekend trip, we had to go back on Sunday, but we still managed to stuff ourselves at the breakfast buffet and visit bridge Geierlay, Germany’s longest chain bridge – it’s 300 m long and 100 m high. Kinda scary but really really cool. This will definitely be a trip to remember. If you’re thinking about visiting Germany, come here! What about you? Did you enjoy your first few days of 2016? What will be your first trip of the year?